Is Your Self-Serve Kiosk Serving Its True Purpose? 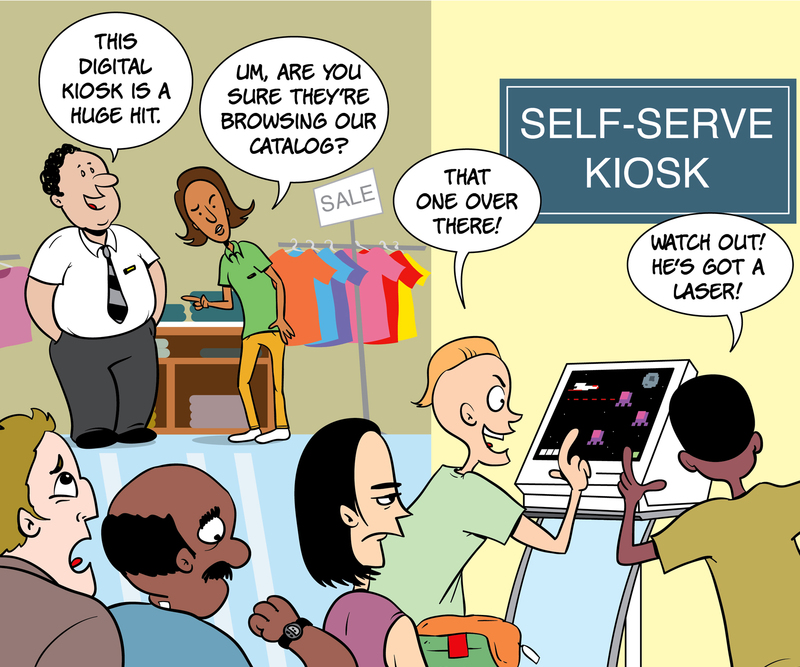 Self-service kiosks are a valuable tool that retailers can leverage to help improve their in-store customer experience. They provide a convenient access point for shoppers to help themselves to relevant information, bringing together the digital and brick-and-mortar. Leveraging tablets is an excellent way to create a self-service kiosk. However, to ensure the device delivers the desired experience, it must be customized and “locked down” to the specific application or applications you want to serve up. With the right hardware integration and device customization tools, you will be able to create an engaging and intuitive kiosk experience for your customers. Learn more about how customizable tablets can offer an easy kiosk solution.